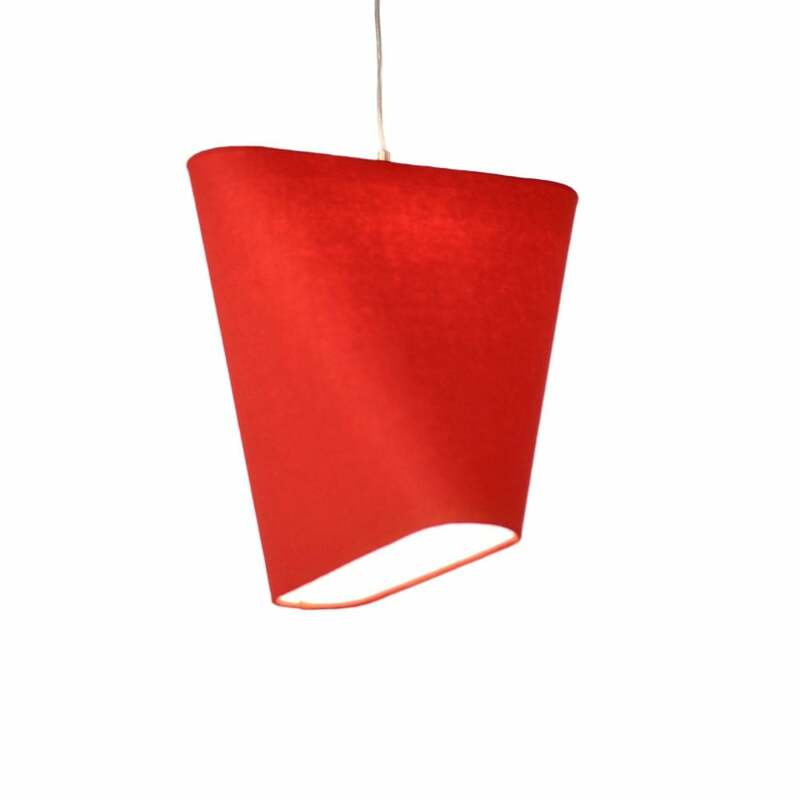 A unique sculptural design large easy fit pendant lamp shade made in a vibrant red wool with a white inner. Add new life and colour to your existing pendant suspension, this would look great in any contemporary lounge, bedroom or diner. The angular appearance of this shade gives it a different look from every angle. Here at The Lighting Company we have a large and ever growing range of lighting to suit every setting. Browse the full range of pendant shades here: Easy Fit Pendant Shades.